Exclusive: I Am Alive Ramsey Noah Screams! 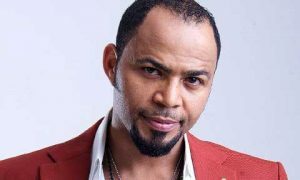 Legendry Nollywood play boy Ramsey Noah is right reaching out to his family members, love one, and fans that he is very much alive. this move became neccesary after an online plat form,(not nigerianfilms.com) reported that the screen king had been killed. A report that got his friends family memebers and fans panicking. In an exclusive chart with a close friend at our office, the king of the screen says he is well and alive even as he regreated the unprofessinal manner some blogers go about making their platform popular. Withh the birth of affordable internet and the blogging Journalism has been facing abuse from unprofesinals who cook up stories about top celebrities just to earn income from google. To Add Me 0n BBM or Whatsapp F0r Free Vide0s, Cl!ck The Display above First Fully Funded International Excellence Scholarships at University of St Andrews in United Kingdom, 2019 The University of St Andrews is inviting applications for international excellence scholarships. Scholarships and funding. St Andrews is committed to attracting the very best students, regardless of financial circumstances.